CLAHRC West and the West of England AHSN have jointly developed a new two-hour workshop in collaboration with Avon Primary Care Research Collaborative (APCRC) called Getting Started with Service Evaluation. This compliments the existing two-hour Finding the Evidence workshop run by CLAHRC West, which has been positively received by members who have attended in the West of England. The workshops offer an introduction to finding evidence and service evaluation, both of which are increasingly desired skills in health commissioning organisations. Evidence-based commissioning is frequently referenced in the NHS Five-year Forward View in order to transform services and improve outcomes. Either workshop can be run at your premises at a mutually convenient time. The workshops are being funded by the West of England AHSN and CLAHRC West, and are offered with no cost to member organisations. These workshops complement the Evidence Toolkit and Evaluation Toolkit, which were originally developed by APCRC. 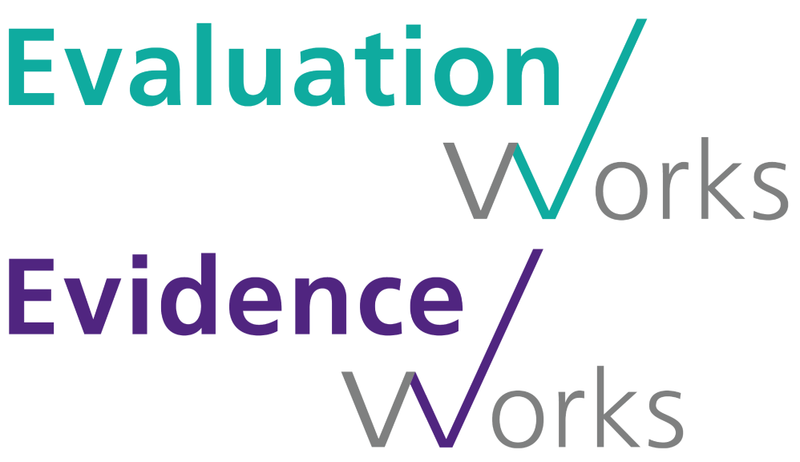 They have been refreshed in collaboration with the West of England AHSN, and rebranded as Evidence Works and Evaluation Works and are due to be re-launched online on 22 March 2016 with a streamlined new look and feel. There is no charge for their use. These toolkits are tailored for use by commissioners of health and care services. They are designed to be self-explanatory so they can be used stand-alone, with a cycle to guide the user through five steps to find and use evidence, or plan and implement a service evaluation. They also contain many useful resources for you to explore the subject area further if you wish, as well as case studies and useful contacts. Each toolkit and corresponding two-hour workshop complements each other. For example, the Getting Started with Service Evaluation workshop makes frequent reference to Evaluation Works, as well as touching on theory and providing a supportive activity for participants to begin to explore their own evaluation project context. You’ll find more information about the toolkits in the April edition of our e-newsletter, and on this website from 22 March 2016. For a deeper understanding of evidence-based commissioning, CLAHRC West also offers a one-day course in Critical Appraisal for Healthcare Professionals, along with a separate one-day course in Service Evaluation. These are both free to member organisations. To book on to any of the courses mentioned above or for further details, please visit the CLAHRC West website or email Jo Bangoura: j.bangoura@nhs.net.